Add your logo to these custom mechanical pencils! 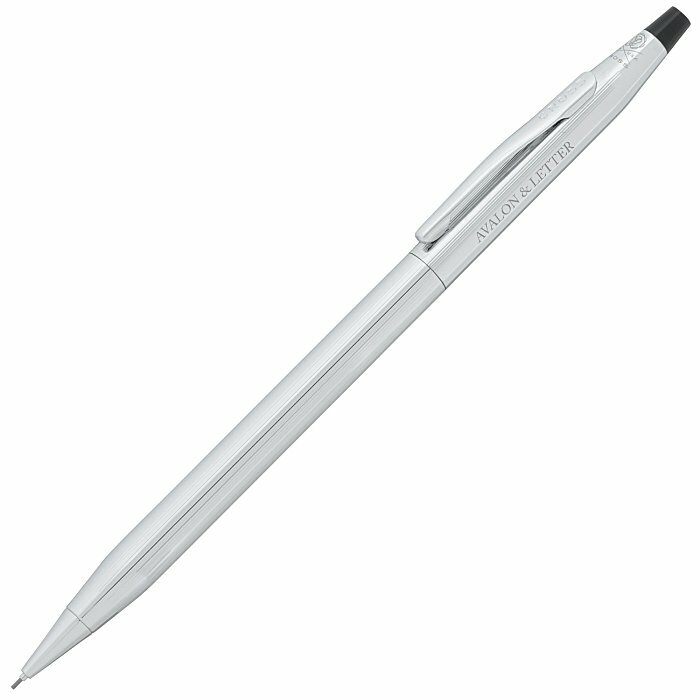 These Cross® metal mechanical pencils feature an all over chrome finish. Designed as a twist-action, .7mm mechanical pencil. Includes three .7mm lead and a pencil eraser inside. Your price includes a laser engraved imprint on the cap.